The Theory of Everything stars Eddie Redmayne and Felicity Jones as Stephen and Jane Hawking. Science tells us we should be able to explain and link together all physical aspects of the universe in one single, unified theory: a theory of everything. ĊineXjenza is holding a discussion and open forum, during which participants will be able to share their opinions and learn about whether physicists will ever reach this elusive ‘ultimate theory’. The discussion will feature science communication experts facilitating dialogue between the audience and researchers from the University of Malta and encouraging sharing of perspectives and opinions. The Theory of Everything is the romantic biopic providing a glimpse into the extraordinary life of one of modern times’ most renowned scientists – Stephen Hawking. Beginning with his 1960s Cambridge college days where he falls in love with Jane Wilde, The Theory of Everything follows Hawking through his lifelong struggle with motor neurone disease after being given just two years to live following the diagnosis when he was only 21 years old. Against his initial want for Jane to leave him, she stands by his side ultimately to become Jane Hawking. The diagnosis places time constraints on what he wants to accomplish, completing his PhD dissertation on a revolutionary idea on the creation of the universe chief among them. 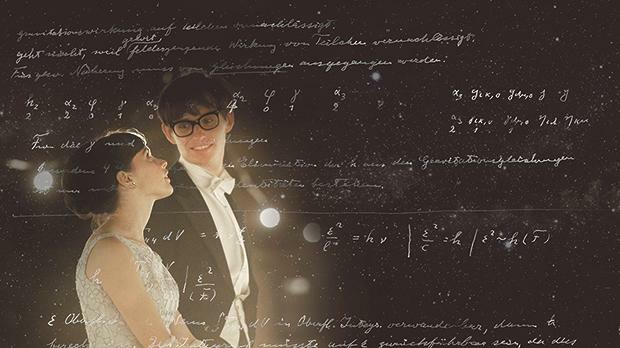 The Theory of Everything will be shown tomorrow from 7 to 11pm at Spazju Kreattiv, Valletta. ĊineXjenza, supported by the STEAM project, is run by the Malta Chamber of Scientists, in collaboration with Spazju Kreattiv and S-Cubed. Wine and light refreshments will be served during the discussion.